ca. 390 - 380 B.C. 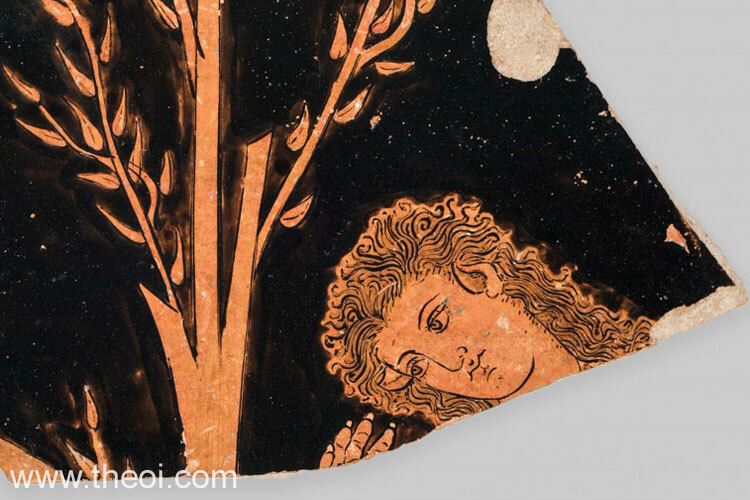 A vase fragment depicting the head of a woman with animal-ears. She figure is probably either a female Centaur or the maiden Callisto metamorphosing into a bear.